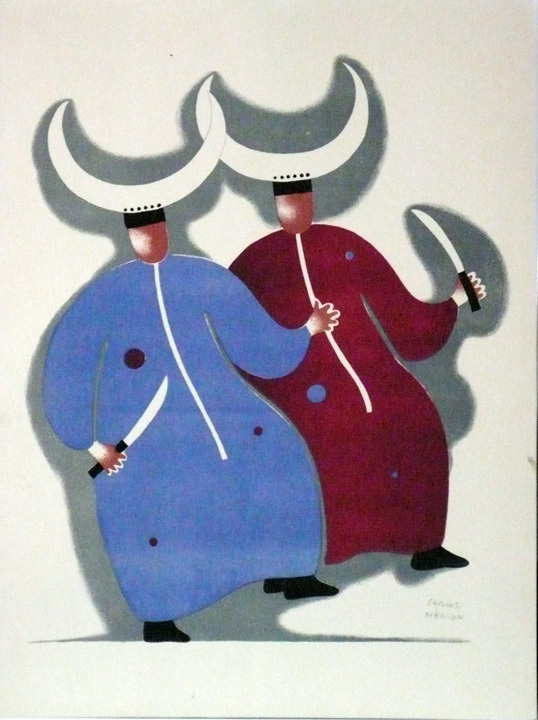 16 3/4" X 12 1/2"
Carlos Merida (1891-1984) Guatemalan "DANCE OF CRESCENT MOON" , color screenprint, printed in 1939 for a portfolio of one thousand prints. There are supposed to be only seventy five that were pencil signed by the artist for close friends and big collectors. Signed in pencil,original sheet size sheet size 16 3/4" x 12 1/2", slightly trimmed to 16" x 12"